Arthur Johnson is serving life without parole for 1970 murder. HARRISBURG - The question for convicted murderer Arthur Johnson seemed simple: Could he explain what his days are like, from the moment he wakes to the time he drifts off to sleep, in the 7-by-12-foot prison cell where he has spent nearly 37 years in solitary confinement? His response was an unstoppable, eight-minute soliloquy about despair and mistrust and lessons learned on the street, the words spilling from his mouth in a crush of thoughts as he tried to convince a federal judge on Wednesday that nearly four decades is enough time for any one person to spend alone. "Every single day, you do the exact same thing," Johnson told Judge Christopher C. Conner, chief judge of the U.S. District Court for the Middle District of Pennsylvania, during a hearing that lasted nearly six hours. "You live by the rules, you follow the policy, and it doesn't mean anything. . . . It doesn't count." 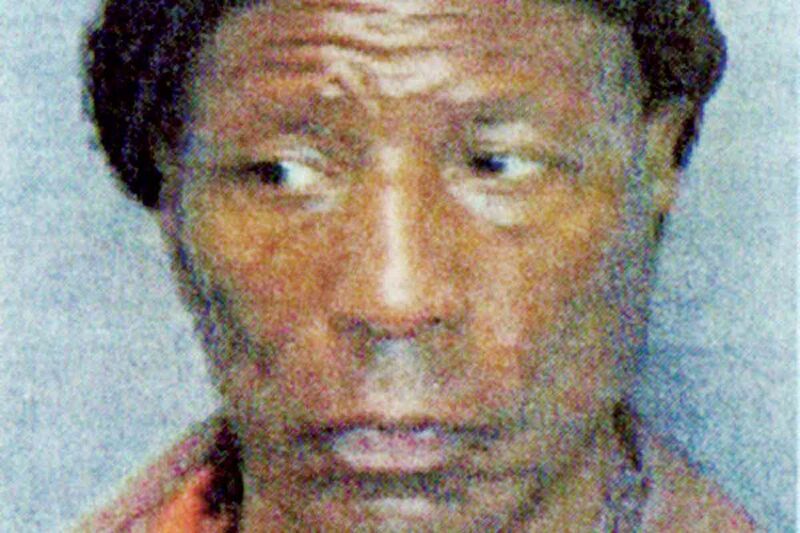 Johnson, 63, is serving life in prison without parole for the 1970 gang-related murder of Jerome Wakefield in Philadelphia. After several attempts at escape - during one, he allegedly bound a prison guard and locked him in a cell - he was placed in solitary confinement in 1979. He has remained there since. In May, he sued the state Department of Corrections, alleging that he is a victim of cruel and unusual punishment in violation of the Eighth and 14th Amendments to the Constitution. He is seeking a preliminary injunction to be released back into the general population at the State Correctional Institute at Frackville, so he can live out the remainder of his life. The Department of Corrections is fighting his motion, saying he remains at high risk for misbehavior and has signaled that he has not abandoned his plans to escape as soon as he gets another chance. Just in the last week, as Johnson was preparing to be transported to Harrisburg for the hearing, "he began to say his good-byes . . . and talked about prior escape attempts," Senior Deputy Attorney General Abbegael Giunta, whose office is representing the Corrections Department, told Conner on Wednesday. Giunta noted Johnson's level of fitness and his access to books, newspapers, a television, and a radio. She said Johnson's cell has a small window with a view to the outside; his cell door has another window through which he can see prisoners in the general population pass by. "He will not suffer irreparable harm if his injunction is denied," she said. Another hearing is scheduled for Aug. 11, during which the state will present its witnesses. Led into the courtroom by eight Department of Corrections officers, Johnson shuffled to the witness stand with shackled feet, fumbling with the microphone for the first few minutes. At first, he spoke too far away from it to be heard, then too close to it for his voice to be anything but muffled. As he gave testimony, he kept knocking it with his hand. Under questioning from his attorneys, Johnson said he spends 23 hours each day in his cell. He is allowed outside in the prison yard for an hour Monday through Friday, but only in a small, caged-in area. He is allowed showers three times a week, and he is led there in handcuffs, with a towel wrapped around him. Before Wednesday, when he walked into the courtroom and shook the hand of one of his attorneys, he said he had not touched another human being in any meaningful way for nearly 37 years. Johnson's legal team includes lawyers from the Jones Day law firm in Pittsburgh; Bret Grote from the Abolitionist Law Center; and Jules Lobel, a professor of law at the University of Pittsburgh. Craig Haney, a psychology professor at the University of California, Santa Cruz, who has researched the impact of long-term solitary confinement, testified Wednesday that social contact is a basic human need. Solitary confinement, especially prolonged, "is painful. It's a stressful environment." Johnson, he said, "has struggled to maintain his sanity." Sitting quietly in the courtroom Wednesday was Julie Burnett, Johnson's first cousin. She said she was 4 years old when Johnson went to prison. Seated next to her were two of Johnson's adult grandchildren, who Burnett said Johnson had never seen - and might not recognize. As he was led out of the courtroom at the end of Wednesday's hearing, Johnson glanced their way. He nodded his head, then shuffled off.